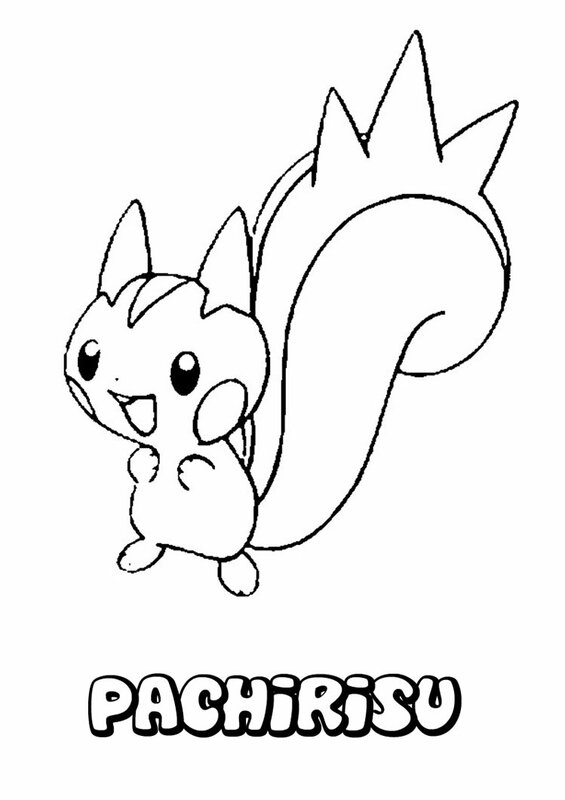 Pachirisu Pokemon are squirrel-like creatures. Pachirisu's fur is the color white and has a light blue stripe which begins from the forehead and goes all the way to the tip of the their tails. Pachirisu Pokemon have tails that are about twice as big as they are. They have three spikes at the top of the curl. Pachirisu like to live in the treetops. That's where they like to store their favorite snack, which is berries. Just like Pikachu, Pachirisu generates electricity in its cheeks and then releases it from their tail. 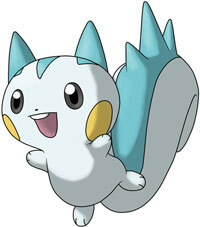 Pachirisu is numbered #417 in the National Pokédex and is a electric-type Pokémon. Pachirisu is one of the few Pokemon that does not evolve.